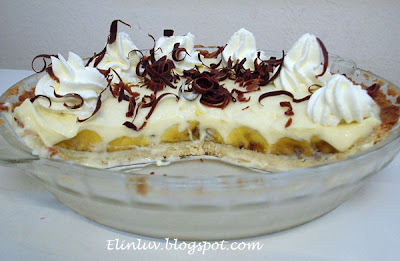 Being the adventurous me and having a bit of free time on Saturday, I ventured out to try this mouth-watering pie…Banana Cream Pie from dailydelicious . 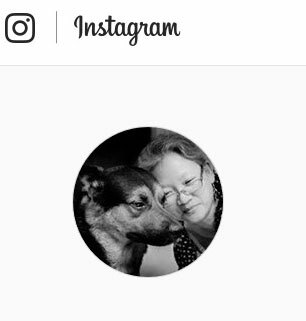 I love her blog and she really inspired me to try out all her cakes and yummilicious pies. A very talented girl who also loves cooking and baking! She has a very beautiful blog and I love the recipes she shares there and her photography is awesome too! I would like to thank Pook for sharing such a wonderful pie recipe with her readers. Using a food processor, process the flour, sugar, butter and salt for about 10-12 seconds until the mixture resembles fine breadcrumbs, then put the mixture in a bowl. If making by hand, put the flour, sugar and salt in a bowl, cut the butter into pieces and work it into the flour with your fingertips. Make a well in the middle of the flour- and-butter mixture and add the egg, egg yolks and vanilla extract. Stir to incorporate the flour evenly until you have to begin using your hand. Bring the dry and wet ingredients together. Dust work surface with flour, remove the dough from the bowl and knead it on the floured surface for a few minutes until it is smooth and homogeneous. It is now ready to be rolled. Roll out the dough to a thickness of about 5mm (1/4 inch). Carefully lift it up with the rolling pin, and ease it into the pie pan. Chill the tart cases for at least 30 minutes before baking. Bake blind the pastry for about 20 minutes. Remove the weight and fully bake the pie until the pastry is just turning golden for about 20 minutes more. Remove the pie pastry from the oven, let cool before making the filling. Note: if you want to use peanut butter cookie, the recipe call for 8 oz of the cookies put in the food processor with 1/8 salt and 2tbsp melted butter. Cut the banana and put in the prepared shell. In a medium pot, whisk together sugar, salt, corn flour, and all purpose flour, set aside. Whisk together egg and rum, then add milk and whipping cream whisk to combine. Pour egg mixture in to the flour mixture whisk to prevent lumping. Put the pot over medium low heat, stir with a whisk all the time until the mixture is thicken and bubble, take of the heat put the butter and vanilla in the pot and whisk to combine. Then pour into prepared pie shell, wait until cool enough then cover with plastic and refrigerate for 6 hours before serve. 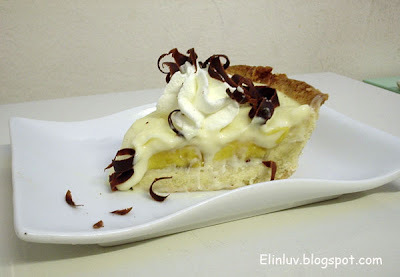 To serve put the pie in a dish drop a spoonful of whipped cream on top and sprinkle shaved chocolate over the pie.